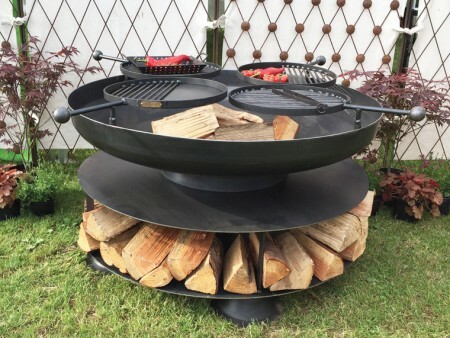 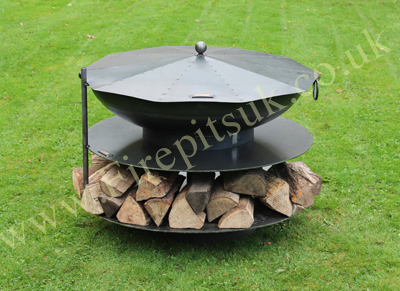 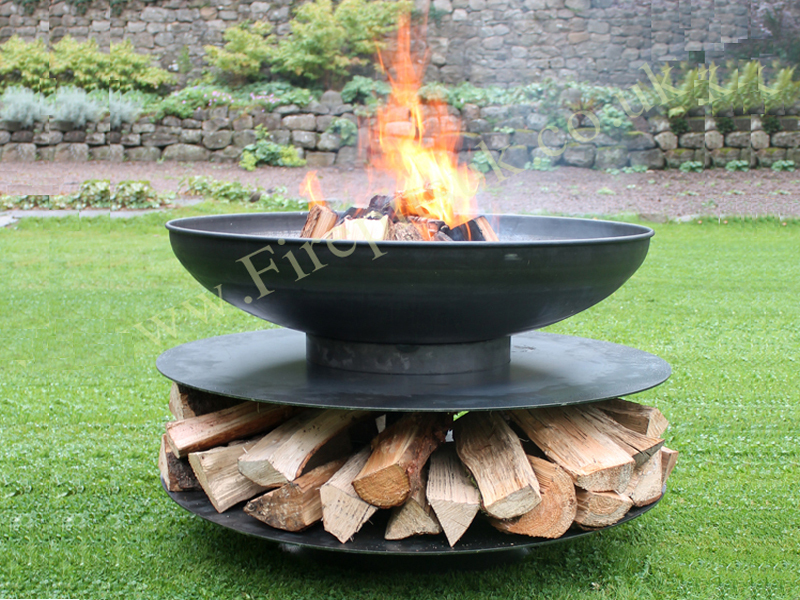 Our original Ring of Logs design, the Ring of Logs 120 provides a great focal point for entertaining with the added bonus of storage shelves to keep your logs dry and close to hand. 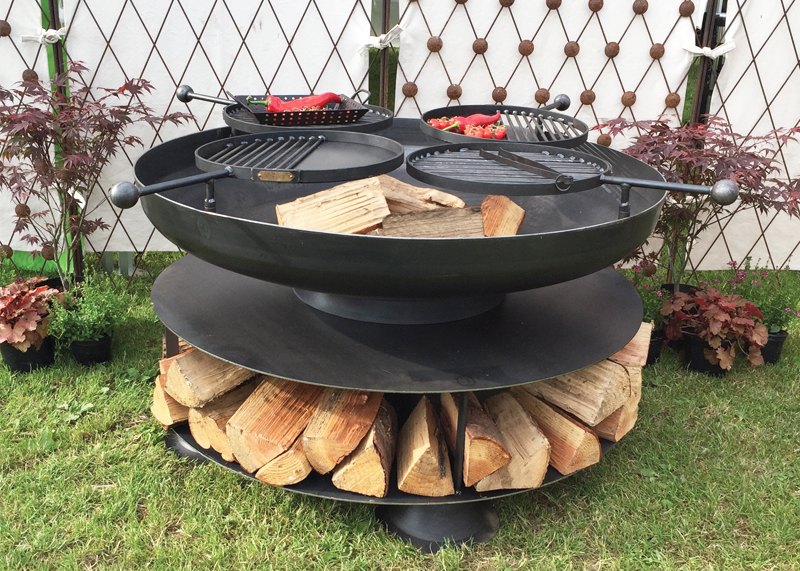 This stylish elegant design forms a sociable piece with the four swing arm bbq racks allowing for independent cooking. 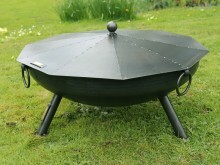 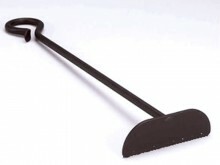 A great height for cooking at, the swing arms can also be marked up if required to cater for separate vegetarian use.